Many file formats are not supported.. When wil nokia asha 311 provide new software update.? And how to unistall unwanted waste apps , games, tones etc .? Hey! From where can i download more levels of angry birds game... On click get more angrybirds there is always writing 'unable to open page' In ovi there is no angry bird. PLS HELP ME. 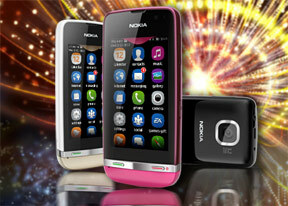 Why did my nokia asha 311 introduction lost its video?only sound appears? kaja, 22 Nov 2013Mobile dialler not accepted ths phone.. And jar and jad vesion n't supportedHei troll, why are you lying.. It supports .jar and .jad files.. It is a java phone..
Hei friends, now NexGtv (a live tv app) available in nokia store.. Download it, its an awesome app. Some channels are free, for some premium channels you have to pay..